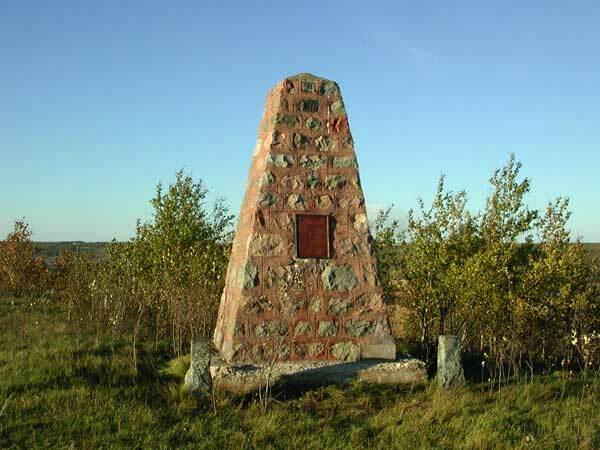 A stone monument marks the former site of the fur trading post of Fort Ellice of the Hudson’s Bay Company, now situated in what is now the Rural Municipality of Ellice-Archie. At one time under private ownership, the site was purchased from A. B. Fouillard in June 2012 by the Nature Conservancy of Canada, with plans to make it freely accessible to the public. 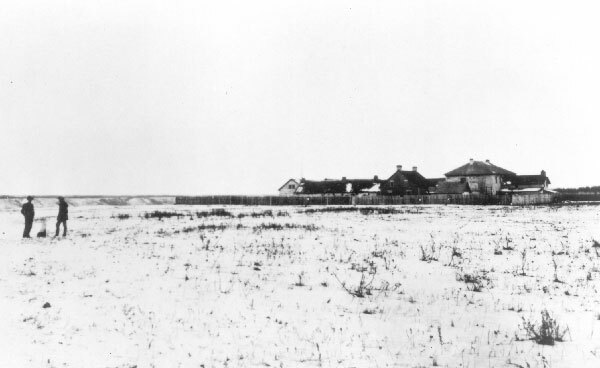 View of Fort Ellice from the north, 1890. The large building on the right side, with a covered balcony on the second floor over the entrance, is the Chief Factor’s residence. 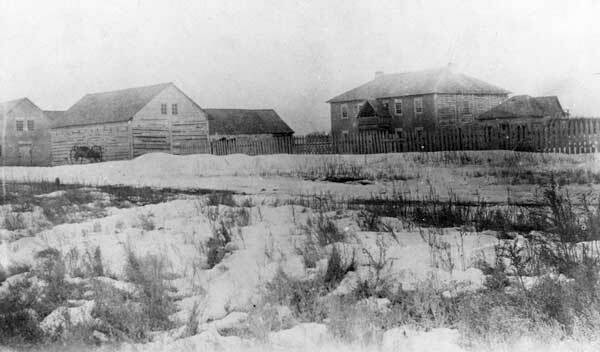 Source: Archives of Manitoba, Fort Ellice 3. 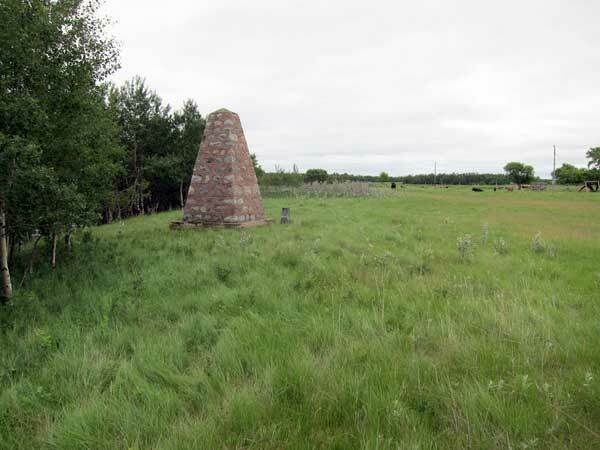 Source: Archives of Manitoba, Fort Ellice #14. 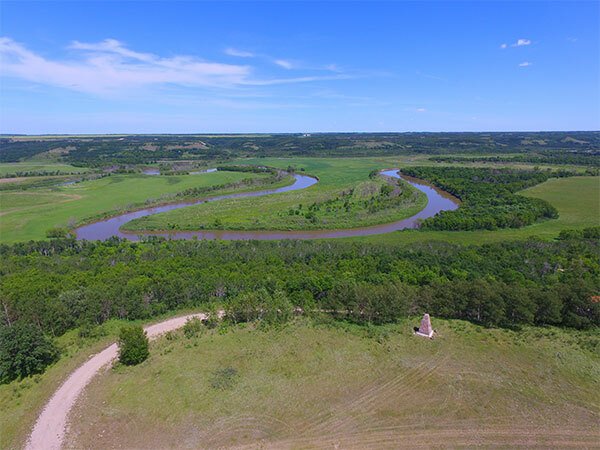 Hiking the Heartland: Explore Manitoba on Foot by Prairie Pathfinders, 2007. We thank Kurt Dorward for providing additional information used here.